Teaching groups are decided on the numbers in each area. Groupings for Specialist subjects and integrated studies will be determined according to what is being taught and may vary through out the year. The upper school integrates the philosophies of the Middle Years of Schooling into its programs. Reading, writing, word study skills, speaking and listening make up the basis of this exciting program. Students undertake a program of numeracy skills and understanding for 1.5 hours each day. The program for F-2 children is based strongly on the teaching and understanding of the Early Years Numeracy Program. Years 3 to 6 are integrating Middle Years approaches into their daily numeracy program. Through a variety of activities students learn concepts and understanding of number, measurement, spatial relations, chance and data. These three areas are considered to be an essential part of the curriculum. Healthy minds, bodies and attitudes help to develop children with a willingness to learn and participate in our school community. school and local or Ballarat venues. Healthy Relationships Program, Drug Education Program, and Human Relations Program for Year 6 are included in this area. We conduct a daily Huff’n’Puff program each morning aimed at developing fitness, skills, communication and self esteem. Students study Japanese for 1/2 per week by video link. This includes learning not only language, but japanese culture. All activities are engaging and students respond positively to these experiences. Our art programs primary aim is the encouragement of a child’s individuality and creativity. Students are encouraged to produce a variety of pieces for special occasions and displays. Students require an art smock for art classes. Drama, as a learning experience is used across the curriculum with children given appropriate opportunities to perform. at making it environmentally sustainable. Encouraging students to discover how things work. Planning how to make things. Design and investigation are the focus of this curriculum area. ICT plays a vital role in learning across the curriculum. A variety of thinking skills are developed across the curriculum and utilized extensively by the children to solve problems and plan approaches to their work. particularly if they feel concerned over academic progress or changes in a child’s attitude or behaviour. * Parent / Teacher interview in Terms 3. * Written report at the end of term 2. * Written report at the end of the school year. parents, and each family is required to sign a consent form before their child can participate. Where appropriate we also invite speakers, performers, coaches etc. to visit our school. 4 to 6 up to 45 minutes per night. Your child's requirements will be outlined by their class teacher and revisited regularly. The MARC Van visits the school every second Thursday. Lessons are focused on History and Literature. Accredited instructors conduct classes for half an hour per week in the months April through to October. Instruction is provided in the agreed syllabus only. All children in classes serviced participate unless a form requesting exemption is received from their parents or guardians. Those students not taking Religious Education classes will be provided with an alternative program. Innovation and Engagement play a key role in the overall success of any student and our school prides itself on making sure every child is catered for. Our MTB program is a motivating and stimulating program where students are taught traffic safety, bike maintenance, technical skills and track design. The students compete in the School Cycling Championships in August. Our team name is 'Northern Ninja's. The School runs a camping program for children in Foundation to years six. These camps provide the children with a variety of different experiences at venues including seaside, urban, bush and hillside camps on a four year rotation. School camps are an integral part of the outdoor education program and play a significant role in developing a child's independence, self esteem and social skills. Foundation/1 students attend an overnight stay at school in term 2. Children in Years 5 and 6 are encouraged to seek selection for the Somers camp which occurs approximately every 18 months. Reading and research are integral to every child's learning. Creswick North Primary School facilitates every child's reading habit with a well resourced library with a computerised borrowing system. All children are encouraged to borrow regularly for both reading pleasure and to broaden their knowledge. All children have regular library sessions. Children should all have a book bag to protect books they borrow. 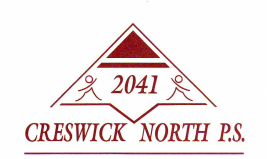 Creswick North Primary School conducts an intensive 7 - 8 week learn to swim program at the Swim and Survival Academy's heated pool. Weekly lesson are conducted during third term. Lessons are conducted by qualified instructors employed by the Swim and Survival Academy. All children are expected to attend. Transition between Pre-school and Primary School and Primary School and Secondary School and between classes at the end of year are big steps in a child's life. Programs are organised to make the process as smooth as possible. The programs involve a combination of both staff visiting children in their existing environment and children visiting the new setting.